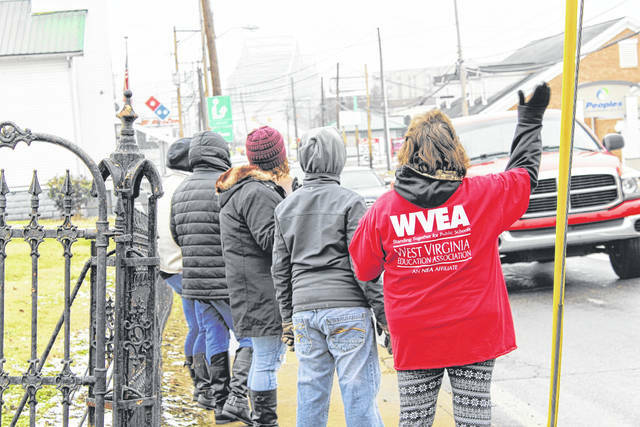 Local educators in Mason County participate in a “honk and wave” at the corner of 6th and Viand streets on Saturday in Point Pleasant, to raise awareness of Senate Bill 451, which deals with education reform. Those educators protesting the bill on Saturday said they were concerned about the funding of charter schools at the expense of public education and a vulnerable student population. 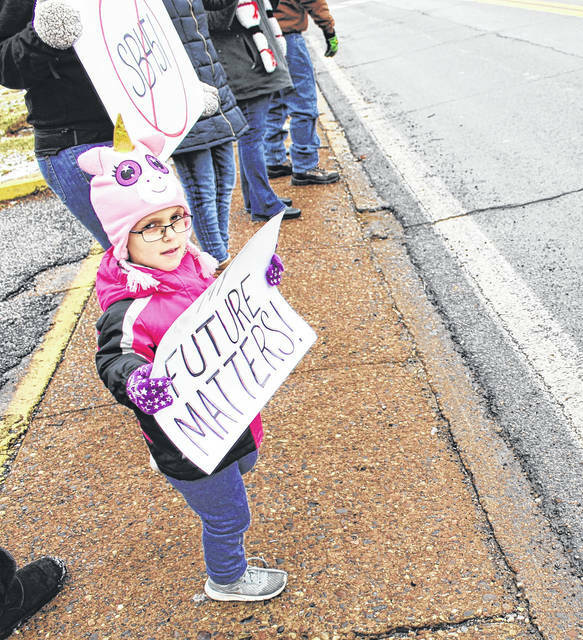 Hadleigh Cossin, who attends Roosevelt Elementary, holds a sign in protest of Senate Bill 451 on Saturday.